Not everyone has time for a full workout every day or every other day. What people do have is a spare ten minutes they can dedicate to a quick, powerful workout. Jillian Michaels has the perfect exercises to cram into that ten minutes that will get results. The new workout DVD is called Jillian Michaels 10 Minute Body Transformation. It’s been proven time and time again that it’s not about the length of the workout but the quality. Body Transformation by Jillian Michaels uses 5 ten-minute workouts to give you the results you love without taking too much time. Our Jillian Michaels 10 Minute Body Transformation Review will guide you through each of the five workouts within the program to maximize results. We hope to show you that the program is beneficial and there’s nothing to fear when getting started. After all, you’re not alone in trying out the program, and you won’t ever need to feel as though you are. The saying goes abs are built in the kitchen, but that is only partially correct. Combined with the right diet, a toning workout is necessary to give you the abs you want. Pilates Power will shred those abs and power up your core; make sure you have an exercise mat for this workout. The moves are completely doable for all workout levels and this is a great way to tone and tighten the body without stressing it out. Pilates Power from Jillian’s 10 Minute Transformation workout is also a great off-day workout to loosen up and stretch the body a bit. The most important part of losing weight through workouts is the cardio. Cardio Burn is a killer workout that will get you sweating in no time flat. The calories you carry won’t stand a chance against a good cardio workout. 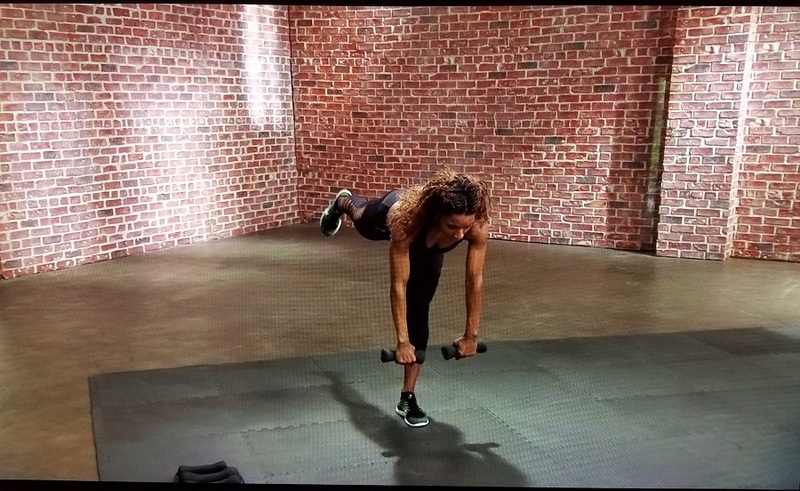 Jillian’s Cardio Burn in her 10-Minute Body Transformation workout series is a fabulous cardio workout in a very short timeframe. Don’t take a low time requirement to mean you won’t get a workout. My heart rate quickly climbed to the top and had me breathing heavily in no time. The moves are ALL workable for anyone so toss the excuses aside and get moving. Modify with the example given or make modifications yourself. One struggle area for some people is the booty. Everyone wants their backside to be lifted, toned and shaped appropriately. Booty Boot Camp is meant to do all of the above and help you rock those short booty shorts. Girlfriend, there is nothing easy about this workout but each and every move is one you will feel, appreciate and so will your significant other. Promise! Many of us want to lose the weight we carry, but while we have it, we should use it. Calisthenics uses your bodyweight in the exercises to kill your bodyweight. Using the weight you already have is the best way to get started losing it all. Jillian is a master at Calisthenics and takes the basic moves we may all know and takes them to a whole new level. Some of these moves will be challenging so modify or replace if you are a beginner but for the LOVE – do not stop! It is TEN minutes! Working out acts as a bit of a stress reliever for some but Kickboxing is one of my favorite ways to work out stress and feel empowered in the process! I love feeling strong like nothing can get in the way. Jillian’s Kickbox Blast 10-minute workout is an effective kickboxing workout that quickly gets the heart rate up and contains many moves I love like I fan find in Jillian’s Kickbox Fast Fix workout. Kickbox Blast is a workout that uses MMA-inspired moves to not only get you sweating but to relieve stress. Of course, losing weight while kickboxing is a given. Before any workout, no matter how long or strenuous everyone needs to warm up properly. Then, when the workout is complete, you need to ease out of the workout with a cool down. Both are included and won’t take up too much time from the exercise itself. Jillian Michael’s 10 Minute Body Transformation is available on Amazon on DVD or Amazon Video.